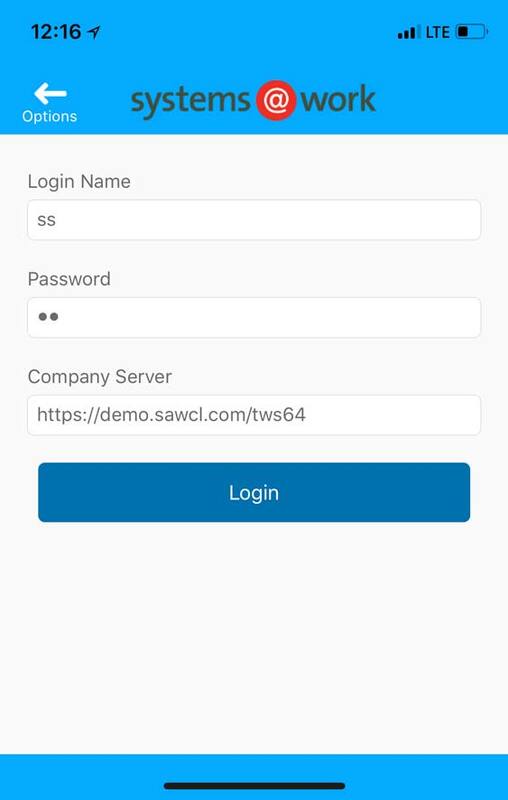 The systems@work App for time@work, expense@work and forms@work configures itself to the App-enabled forms you’ve defined centrally in your time@work, expense@work and forms@work database. Download the systems@work App from the iPhone App Store or the Android Play Store and try it on our demonstration databases. Once you’ve opened the App you’ll be asked for Login details and a server name. You may subsequently change your Access Details using Options.